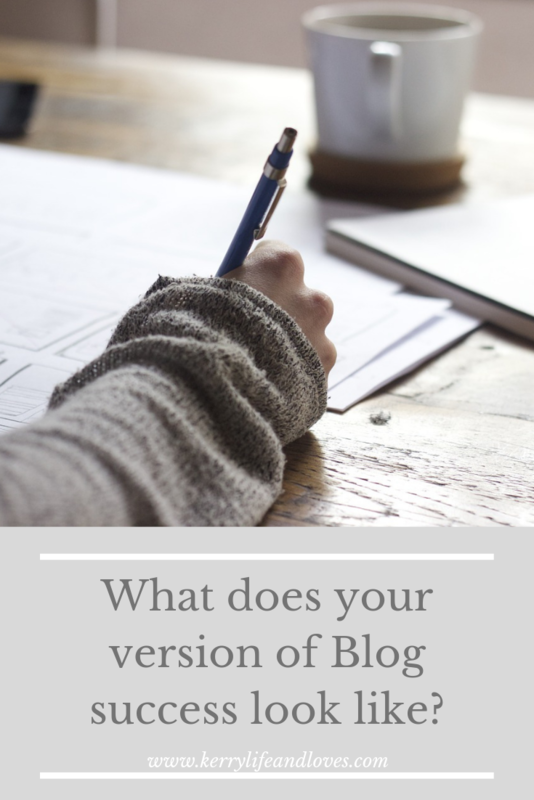 What Does Your Version of Blog Success Look Like? Id be interested to know what the very first, knee jerk answer that popped into your head when you read that question was. The reason I would be so interested in that answer, is I feel that many people feel they can’t be honest when they answer this, especially in the current climate of distrust bloggers are up against. They feel it has to be prettied up a bit, perhaps a little smoke and mirrors added to deflect from the REAL way they would like to answer that question. 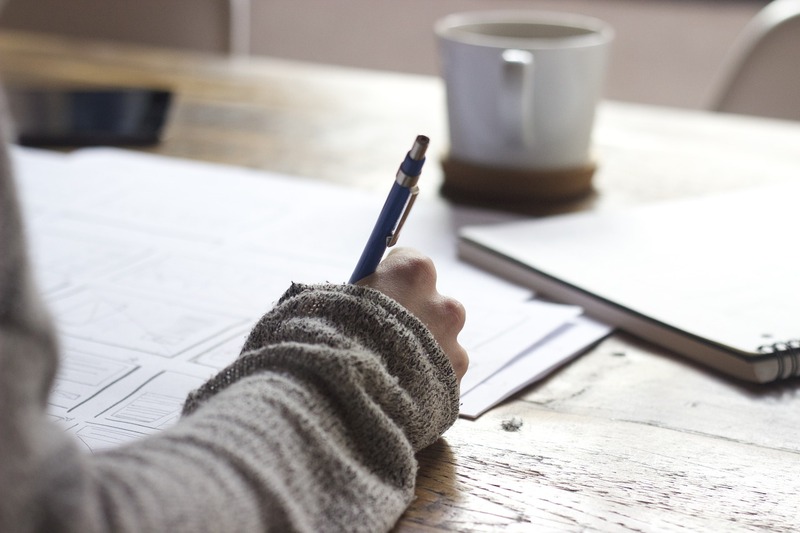 So, I invite you to grab your cuppa, settle in for a chat and be completely, totally honest with what your version of blog success looks like, not to tell me necessarily, but to admit to you. Lets jump on in…. The blogging/influencer/instagrammer industry is taking a hammering at the moment. Almost daily there is an article or a name and shame type of post being put out there, usually detailing the “calculated and devilish” ways that people in the industry are “conning” people out of their hard earnt cash. Its led to all manor of discussions and denials, but, in truth, some of it I have to agree with! As I have said a gazillion times, if you bring money into anything, the game changes. Simple as that. No if, buts or maybe’s, the game is different. I have read blogs for almost 10 years now, and the changes I have seen in that time, make blogs as they are now unrecognizable from what they were. Im not saying that this is a bad thing, its progress, but people are coming into “influencing” (I hate that word with every ounce of my being) for very different reasons now. I don’t intend to discuss that in this post, but I feel it needed to be said to set the scene for what I am really here for. Asking you to be honest with yourself and what success is to you! I suppose for me, if I look at the original reason that I started my blog, (to get me writing on a regular basis so that I finish my damn book) and compare the here and now against that goal, then I have failed. Failed miserably. I have not written much more of my book…….Epic and total fail. If I compare my blogs success against things that the experts tell me I should have, a blog niche (fail), regular passive income from affiliate marketing (fail), a gazillion strangers following me on social media (fail), various brand PR’s on speed dial (fail, fail, fail) then I am not really doing my best work here am I? Im seemingly on the ropes, ready to throw the towel in at my epic fail. Only, Im not! Im not thinking that way at all, and in fact, blow my own trumpet and call me a marching band, Im bloody proud of this little blog and I do consider it a success! So, because I am asking you for total honesty, its only fair I too am honest. 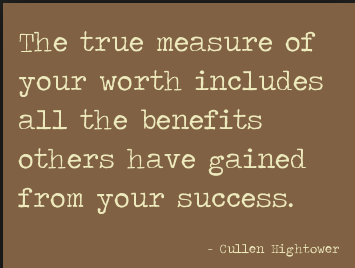 Lets start with what the industry considers success…. I do get a little, tiny amount through my affiliate links, so I love that this keeps my blog a “free” hobby still. Affiliate links for those scratching their heads, is where I link to a product that I talk about or recommend. If you should then decide to buy it, I get pennies, and I promise you it is pennies, in commission at no extra cost to you. Im always beyond grateful when someone buys through my links. My hosting is around £100 a year, so every little helps! The money that affiliate marketing provides, (last year my earnings from this were just over £80) helps cover my blog hosting each year, so that is a success. Sponsored content – This is when a brand contacts you to work on a post in collaboration with them. Payment can be in money, gifted products or both. I am very, very fussy about who I do sponsored or collaboration content with, and I promise you, I turn down far more than I accept. Not because I am a primma donna , but because I don’t want my blog to become a sales platform, I don’t want to be restricted on what I write about (sponsored content often wants to dictate a little what you write) and I don’t want to be stressing about GETTING sponsored content. I just want to enjoy writing my blog. No stress, no pressure, no losing my voice. Having said that, I have done some collaborations that spoke to me in some way, (and they do pay more than affiliate marketing for sure), and enjoyed them, and I hope to do a few more this year. Social media – I am a slow burner on social media for sure. I know that I dont put the effort in, and am accepting of the fact that my 30 minutes a day that I give to social media will not help me grow in a hurry. I have about 5000 followers across all of my channels, but I am ok with that. My views per month on my blog, the thing that I am passionate about, is beyond that so I will live with being a social media plodder. I will not waste precious hours of my time on an app on my phone, obsessing about likes and followers. No way jose. Life is too bloody short for that. Happiness – I am happy. My blog brings me happiness and I just love writing it. I have met many fabulous people through it, I have learnt more about myself through it, I have pushed myself out of my comfort zones through it, therefore growing as a person. All of that is fantastic and worth far more to me than money or thousands of followers on Instagram. Happiness is my drug, a million percent. Fulfilment – One of the best moments for me with my blog has been when a cancer charity contacted me to ask if they could use my Open Letter to Cancer post on their website and in their marketing. They told me that they thought it could offer hope and strength to other people going through what we are. Honestly, from the bottom of my heart that was my moment. That was when I realised that actually, my blog means a lot to me, but it also means something to others. It offers something. I get some beautiful emails and messages after some posts I write too. People telling me that something resonated or helped them in some way. That means the world to me. I keep all of the emails in a folder on a computer, just to remind me that I provide something to someone. 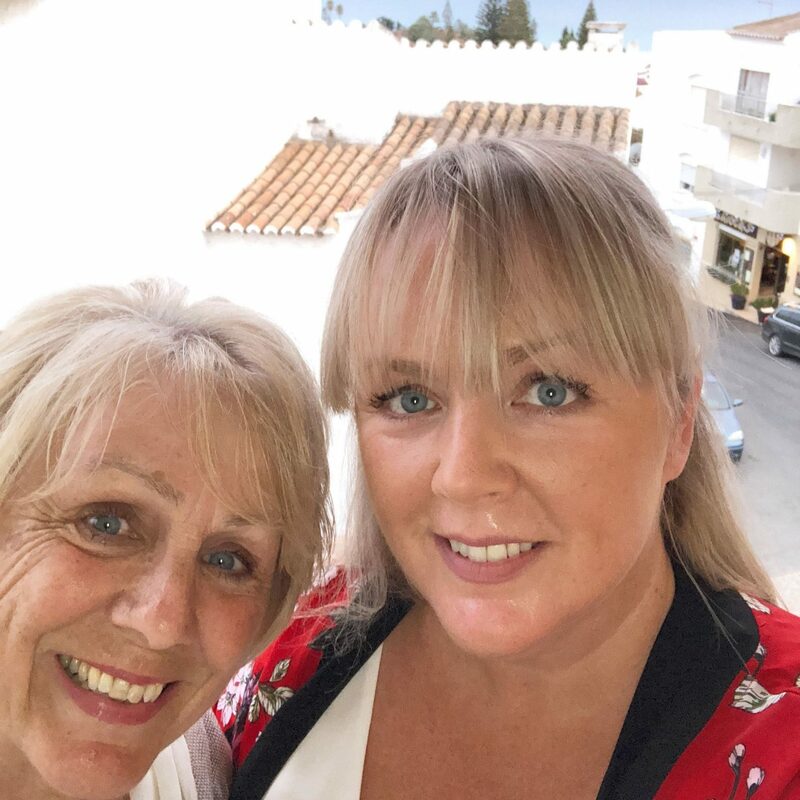 I also get to share some of the opportunities I am offered with my family/friends (including a trip to Portugal I took my Mum on) so it’s amazing to add experiences for them too. That is success on a huge level to me. Moving forwards – I would be lying if I didn’t say that I would like to earn a little regular income from my blog. I think that saying that makes people distrust bloggers motives, but I hope that you all know me well enough by now to know I would never “sell out” I will always stay true to my ethics, and something has to mean something to me to write about it. But, to keep it paying for itself, and maybe cover the travel costs if I go into London for an event, that would be fab. At the end of the day, we all need money to be able to live the life we want (I’m not talking material things here, I’m talking experiencing things), so money has to factor in. I have a day job that pays my bills, so having a little extra via my blog to pay for days out etc, well, that would be great. I am a true advocate of the thinking that money doesn’t bring you happiness, but days out, travel, experiencing things does, so a bit of extra cash wouldn’t hurt! I would also of course, love to have more readers on the blog. I write to be read, that is the truth of the matter. Don’t get me wrong, I would write anyway, whether one or twenty people read it, but more readers would be great. I want to connect, and offer something, and as always, encourage as many people as I can to just live their lives as fully as possible. More readers gives me more chances to do that. Are you a Trophy friend?? "A Relaxed Afternoon tea with Whittard of Chelsea"
"How City Breaks have shaped our Holiday Habits"
Blog success I suppose depends on your goals with the blog. I have two blogs and they have different goals, and different criteria for success. With my personal blog, I mainly want to share my experiences with my move to Ireland and my move towards quality of life and a more sustainable lifestyle – blog success here means to have returning readers who leave comments. I don’t really care about my number of “followers” on my Mailchimp list – that is only a measure of how many used that sign-up form, and I use that service because some people appreciate having a follow-by-email service, for the convenience. I have none on that list at the moment but I know a few people who visit and read my blog. Actually those few people are the reason why I continue to write a blog! We’ve been reading each other’s blogs for years and they have always been following me despite my frequent breaks and domain/platform changes! If the blog helps me connect with new people, that’s blog success to me too. I don’t expect to earn money from it but if it would happen in the future, that would be a bonus of course. I’m like you though – I’ll never sell out and change my content for the sake of money. As for my whiskey blog, success is different. I write my whiskey blog because it’s a good way for me to learn more about whiskey (I need to do my research for the posts), to connect with people in the world of Irish whiskey, and to “market” myself as someone who is passionate and at least somewhat competent about Irish whiskey. With the whiskey blog I feel I have a bit of success every time people on Twitter somehow reacts, and especially if they retweet, my tweets where I link to my blog posts, if there’s conversation, but even more if people out there know about my blog. I’ve always thought I’m quite “small” in the blogging world but I’ve understood recently that my blog isn’t too unknown.. several times I’ve met people in distilleries, whiskey bars or similar in Ireland and had a good chat about whiskey, then when I give them my card or we exchange social media details they say “oh, I think I follow you on Instagram!” or similar.. We met a guy in a bar recently who was there to offer tasting of gin and vodka for a company he works for. He visited my blog and then said that he thinks my articles are really good and that I definitely should start writing again (I’ve been passive since November) and that good whiskey bloggers are very sought after – that really inspired me. Also, my husband ran into a lady (brand ambassador I suppose) from Midleton distillery and they had a chat – he told her that he doesn’t know so much about whiskey but that his wife blogs about whiskey, and I think he had also said that we’re Swedish. And the lady said something like “oh, is that the Irish drams blog – I know about that one. Tell her she should start blogging again! “.. THIS. This is blog success to me. With the whiskey blog, earning money could possibly be interesting and possible without “selling out”, because it’s a niche blog after all. If I get offers and find a good way of doing it, it may happen. But – success will still be about what I described above. Loved reading this! I may have been blogging for only two years but I have been reading blogs for years. With the increase in the internet and social media the focus of what blogs were has really changed. If you can make money from it everyone will want to do it and I constantly see the same content being churned out by bloggers again and again. I think to be a successful blogger in 2019 you have to just be you be creative with your content and you can’t have the intention of doing it to make money. 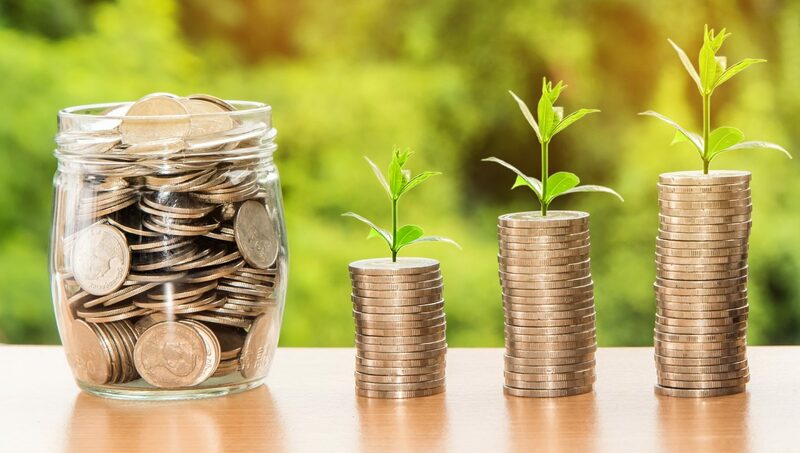 Yes money and opportunities will come once you grow. But I see bloggers who are out for the money all of the time and their content is not interesting when you know they have been paid to write ’21 greatest Honeymoon destinations’ even if they are not married or engaged. I always love reading your posts lovely – and I’ve let mine slip big time. Right now blog success for me is feeling like I’ve inspired or helped someone. I always get the most pleasure in helping, supporting or inspiring others so one day I want to be back there doing that again. You are absolutely fantastic at doing this by the way – so please keep up the epic work! I don’t feel sad that to some extent the “influencer bubble” has burst. A lot of people were being honest with their readers and viewers. A lot weren’t. If you’re doing anything like affiliate links or sponsored posts, and I do them too occasionally, but if you do that kind of thing, your readers are like your customers and they deserve the truth.If you want people to believe you have integrity, like trust, it’s something you have to earn. I have two blogs. One is linked to my business, and as well as helping people out, my main goal for that one is helping people to find out about my training. I think that’s fair. The blog articles hopefully add value and are free. If you want more, you can sign up for a course. Nice and simple! My other blog is my private space on the internet. I’ve had a couple of lovely collaborations with brands, but most of the things are products I’ve bought myself and want to talk about. I could make more money on it than I do, but it’s not my job, and I don’t want to sell myself out and push products that I’d never use, or where I’m not behind the ethics of the brand, or it would just look weird alongside all the other things I write. I think it must be really hard to rely on a blogging income. Some people do it very well, but to be as choosy as you’d want to be and still make a living from it – that’s not as easy as some people seem to think it should be. I really love the topic and I think is one of a kind. 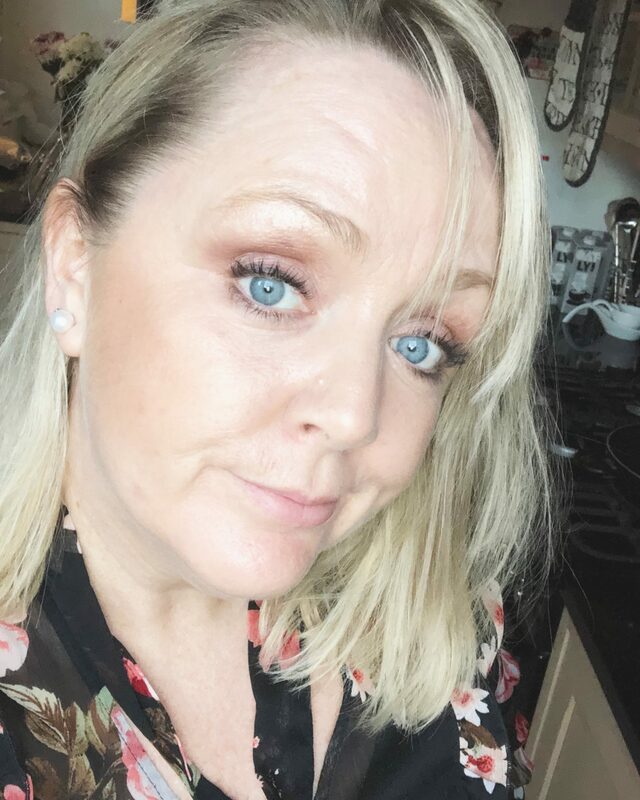 Hi Kerry Ive enjoyed reading this ive only just come across your blog, as I found you on IG via your mum, I think you have a fab sense of humor and love your IG stories. Anyway I have been blogging for a while and find it is a tough one to crack these days with all thats around, I started mine as all I wanted to do was to share with everyone what I love, I would be a liar if I said I didnt want anything out of it as it would be nice to earn something even if it was just to pay for the fees of my blog. But im very new to all of that and im trying to learn how to get affiliate links etc, as ive only recently gone self hosted. I get so much plessure writing up blog posts and sharing with everyone my little world and maybe one day I may get the fees paid for me, I will just keep blogging and do what makes me happy.